But in their effort to set the record straight about research they claim is biased, and a portion of the media’s misleading presentation of that research, Hoge and Cummings mislead their readers and show their own biases. 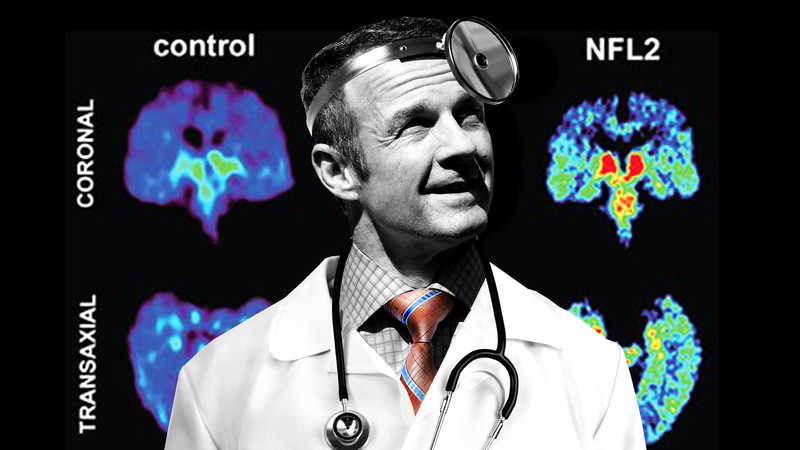 Their aim, as Hoge told me over the course of two phone interviews, is no secret: to preserve youth tackle football, which a growing body of research shows can increase the risk to the long-term brain health of children 12 and younger. As a result, instead of simply trying to quell an unfounded panic about whether all youth football players will grow up to become brain-addled depressives and/or rage lunatics, Hoge and Cummings have appointed themselves as generals in the culture wars, at least where the future of football can stand in as a suitable proxy battle. Theirs is a bad-faith campaign of obfuscation, cherry-picking, and straw-manning wrapped inside a good-faith call for letting the slow pace of science run its course. Hoge is a former NFL running back and ex-ESPN analyst whose playing career was cut short by concussions; he later won a lawsuit that accused the Bears’ then-physician of mistreating his head trauma. Cummings is a forensic neuropathologist at Boston University; last year, he wrote an op-ed about why he was letting his son play youth football, brandishing his credentials as a brain scientist waging a lonely crusade on behalf of the sport. Cummings’s position puts him at odds with the researchers at his own school’s CTE Center, the lab that’s done many of the headline-grabbing studies on CTE. On the day of the book’s Oct. 23 release, several NFL talking heads—Chris Mortensen, Trey Wingo, Suzy Kolber, Bill Polian, Trent Dilfer, Cris Collinsworth—gave it a signal-boost by using largely generalized terms like “interesting” or “insightful” to describe it. You could say this about most book blurbs, but: It’s not clear if any of them actually read it. Where Hoge and Cummings are on firmer footing is when they assail the media’s packaging of the BU team’s CTE research. Daniel Engber made this point in greater detail last year for Slate, and Eric Adelson wrote something similar the year before over at Yahoo. Take last year’s BU study that found CTE—the physical build-up of tau protein in the brain, which can only be diagnosed posthumously—in the brains of 110 out of 111 deceased NFL players. Those results filtered out to the public as a discovery that 99 percent of NFL players studied had CTE, which was true in the strictest sense—but not at all what the scope of the research actually meant. The study itself plainly stated that “prevalence cannot be concluded or implied from this sample,” for a number of reasons. The sample was self-selected; the brains examined were donated to BU, and all of them belonged to ex-NFL players who had exhibited symptoms associated with mood, cognitive, or behavioral disorders (which can be, but are not limited to, disorders associated with CTE) when they were alive. There was no control group of non-football players. And there was no consideration of factors like family history, genetics, drug and alcohol abuse, smoking, PED use, painkiller use, or any analysis of the influence of those factors. All of these limitations were noted in the study, but a number of press outlets—most notoriously, the New York Times—never mentioned them at all. By omitting the study’s substantial limitations, these press reports have indeed helped fuel something of a hysteria about the prevalence of CTE in football players of all ages. It hasn’t helped that Ann McKee, the BU neuropathologist leading the CTE Center’s research, was quoted during the 2013 PBS Frontline documentary League of Denial as saying, “I’m really wondering if every single football player doesn’t have this.” Or that celebrity author Malcolm Gladwell made headlines when he stated that college football should be abolished before later referring to football as “a moral abomination.” Or that the 2015 film Concussion took artistic liberties that fed a false narrative about how pervasive cognitive impairment happens to be in ex-players. Or that the Times, as recently as the week before last, pushed a story that suggested a former Ivy League football player who hanged himself and was later found to have CTE could have been “saved,” even though the BU doctors who discovered the physical pathology in his brain were careful at the time to avoid attributing his suicide “solely or even primarily” to brain damage. Or that BU’s Chris Nowinski, a co-founder of both the Concussion Legacy Institute and BU’s CTE Center, responded to Hoge’s and Cummings’s call for a better understanding of CTE science by denigrating them with a smarmy deflection. Plenty of researchers eagerly acknowledge that the scientific understanding of CTE is still very much in its infancy, and Hoge and Cummings are correct to emphasize that point. I have been swept up in the hysteria myself: During my two conversations with Hoge—the first of which also included Cummings—I incorrectly stated that “head trauma causes CTE,” which led to an argument. Only later did I realize I needed to be more careful about what I was saying. The fact is, head trauma can cause CTE, and it does increase the risk for all sorts of degenerative brain disorders, but I was wrong to speak in absolutes. Science operates at a glacial pace, and researchers are still trying to sort out the causal relationship between head trauma and CTE by sorting through the myriad factors that could potentially play roles in each. Mez thought we were only at the tip of the iceberg when it comes to understanding the disease. He noted that in mild cases, the symptoms seem excessively severe compared with the level of brain abnormality. There could be “more pathology we’re not measuring, regions we’re not examining,” he said. “It could be that the tau is the marker of a lot of other things going on. It’s important for us to understand that too.” He noted that Alzheimer’s research is decades ahead of CTE research. These caveats are disputed by no one on either side of the issue. Where Hoge and Cummings diverge is that they weaponize these limitations to try to convince their readers to discard the findings altogether, while the researchers acknowledge the studies’ limitations because that’s just how science works. Either way, harping on perceived flaws in the BU study would not provide enough grist to fill an entire book. So from there, Hoge and Cummings veer into full-on advocacy on behalf of youth football, muddying the waters for a general public that might not be up to date on all the latest peer-reviewed research on the science of head trauma. They’re essentially guilty of what they accuse the media of doing: conflation, cherry-picking, and straw-manning in the service of an agenda. Take an interview Hoge did on Oct. 24 on Pittsburgh’s WDVE radio. “If you listen to Boston University, I don’t get to age 53,” Hoge said. This is a straw-man argument. No one at BU has ever said anything like that. And not only was Hoge misinterpreting the “110 out of 111” study, he was holding BU researchers responsible for the way their data was misunderstood by the press and public. We can readily estimate the lowest possible risk, simply by exploring the unrealistic best-case scenario that not a single additional CTE case will ever be found among the rest of the players who were in the League at the same time as the 110 were. Using individual player data from the NFL on the number of his team’s snaps each player was on the field for, and on the length of his career in the League, I estimated that there was a total of about 12,000 player-careers worth of on-field activity (about 26,000 different players suited up during this time period, but many of them played only occasionally and in a very few games). So 110 cases out of 12,000 players yields a best-case risk of 0.0092, or just under a 1 percent risk. A 1-in-100 chance (at the bare minimum) of a grave disease caused by environment or occupation is a huge risk that any law or regulation would deem unacceptable. The Times, in its initial report about the 110 cases, used a different methodology to assess the same risk. Instead of using contemporary player-careers as the denominator, as Finkel did, the Times approximated the total number of deaths of NFL players in the years since the study began—a figure it put at 1,300, which would put the prevalence rate at about 9 percent. Again, worrisome. And these are best-case scenarios. Yet when I referenced these figures in a conversation with Hoge and Cummings, Cummings asked how anyone would know the prevalence of CTE in the general population, and whether it, too, might not approach 9 percent. I didn’t have an answer during our chat, but I found one afterward: In 2015, the Mayo Clinic examined 264 brains and found CTE in 21 of the 66 that belonged to people who played contact sports. It found no evidence of CTE in the 198 brains of those who did not play contact sports. Hoge and Cummings summarized the limitations of last year’s BU study in an op-ed for Yahoo. But rather than leave it at that—the attention is outrunning the science, and a lot of the media is incorrectly framing the findings of sound research—they drifted into pure propaganda. “The study was so badly flawed that it was nearly worthless,” they wrote, as though the limitations hadn’t been clearly stated and the paper claimed it represented some sort of end-game, rather than another small piece in a giant puzzle that may take decades to complete. Any unbiased researcher would tell you there can be nothing worthless about the collection of data—that’s how science works. Bizarrely, Hoge and Cummings also accused the BU researchers of burying the study’s limitations in its last paragraph, an allegation that willfully ignores the fact that all academic papers are written in this way. An ex-athlete like Hoge might not know that. A forensic pathologist like Cummings sure as hell does. A 2016 study from the University of Manitoba that “raise[d] the possibility” of CTE in people dealing with chronic substance abuse. But would it be possible to suss out chicken-and-egg causation between substance abuse and head trauma? Is there a way to know whether an addict fell out of a tree as a pre-teen, or cracked her head falling down the steps and never thought of it again, or smacked her head multiple times while running into a doorknob as a toddler? The science on that needs to catch up, too. In their book, Hoge and Cummings cite a 2017 University of Iowa study that showed the injury rate in youth flag football was higher than in youth tackle football, and that the concussion rate was roughly the same. But Hoge and Cummings chose not to mention the study’s lead author’s theory, spelled out to the Wall Street Journal, that concussions in flag football tend to come in pairs as a result of collisions between players’ heads, whereas tackle players tend to get concussed individually. That study also had several limitations, including the fact that player-specific variables were not noted unless a player was injured, a reliance on semi-voluntary attendance and injury reporting (with non-medical personnel sometimes recording the information), and wild variations in flag leagues’ injury reporting practices. Also, the study states, “the number of injuries seen in the flag football league was relatively small, and the number of participants in the flag league was much smaller than the number of participants in the tackle leagues,” thereby limiting any comparisons between the two. In other words, all these studies have limitations not unlike BU’s, but are held up by Hoge and Cummings as settled science. Most egregiously, the Hoge and Cummings book cites a University of New Mexico paper from earlier this year that found a 60 percent greater likelihood of concussions during physical education classes than contact sports. This is a clever evasion. A closer look at that study reveals that football players—as opposed to those in all contact sports—sustained concussions at a rate of 8.2 per 100, versus just 4.7 per 100 for the PE students. What the findings actually support is that football is more likely to result in brain injuries than PE classes, but you wouldn’t know that if you only read Hoge’s and Cummings’s book. BU researchers are currently leading a multi-center study with a $16 million grant from the National Institutes of Health to advance the ball; Robert Cantu, a Concussion Legacy Foundation co-founder and the co-founder of BU’s CTE Center, told a panel at Springfield College in Massachusetts last month that the university has a registry of control-group brains that have been promised for donation. The science is currently being carried out judiciously, and is as ambitious as it can be given its limitations, but Hoge and Cummings are incorrectly blaming the researchers for those limitations. A control group, the lack of which Hoge and Cummings so loudly bemoan? BU is already on it. Hoge and Cummings hold CTE research to an a lofty standard, one far more rigorous than the even-more-limited research they use to dispute the consensus. In their zeal for more science, they often come off sounding like a defendant’s expert witnesses in a case involving medical or environmental damage. “It’s difficult to tease out the effects of playing youth football on adults,” they write in the book, “because when you’re trying to connect the health of men in their forties and fifties with the football they played decades earlier, many factors can skew the research.” Well, yes. Direct causation, after all, is extremely difficult to prove. Did the contaminated water cause 12 childhood leukemia deaths in a single neighborhood? Did the chemical spray cause the gardener’s cancer? But when assessing risk, rather than certainty, a sharp line can be drawn between the priorities of research and the priorities of public health. Just because science can’t guarantee that you will suffer tooth decay, that doesn’t mean we’re going to stop fluoridating our water supply. Numerous studies in recent years have suggested that youth football poses an increased risk for mood, cognitive, or behavior issues later in life, in addition to data that shows changes in the brains of players aged 8 to 13 even when there haven’t been diagnosed concussions. (Cummings has pointed to a Vanderbilt study of retired NFL players that couldn’t replicate one of those studies, as if that alone dismisses the research, when a simple Google search would tell him that study replication is often difficult.) All of this has led to legislative efforts in at least five states to ban youth tackle football, though pushback from advocates caused all of those proposals to be shelved. And when the American Academy of Pediatrics published a 2015 study that identified ways in which youth tackle football can be made safer, one of its recommendations included an expansion of non-tackling leagues, at least as an option. This is where Hoge, during our second conversation, again showed his primary bias. He’s not a neanderthal: He favors reductions in full-contact practices, efforts to teach safer tackling techniques, the implementation of protocols and return-to-play guidelines, and improved helmet technology. But when asked about studies that suggest tackle football might be bad for those under 14, Hoge said, “I guess that the brain must be fully developed at age 14, that’s why you picked that. No, the brain fully developed to age 25. Well, then why is the brain less important when the impacts are greater?” This, of course, misses what the research is saying. Age 14 was chosen, as Cantu explained during his lecture at Springfield, because by then boys have generally gone through puberty and have developed stronger neck muscles; additionally, children younger than that are more prone to brain trauma caused by lateral and rotational forces, in addition to repetitive direct impacts to the head. The age of 14 as a cutoff was chosen for sound physiological reasons. Hoge remained unconvinced. When I asked Hoge about an Aspen Institute white paper published this summer that recommended flag football as alternative before high school, he shifted into coach-speak. When I reminded Hoge that a number of NFL stars—Tom Brady, Walter Payton, Jerry Rice, Lawrence Taylor, Jim Brown, among others—never played football before high school, he answered by saying that most other players did start at a younger age, and at a time when the protocols and the equipment were far less safe than they are today. Because the science overwhelmingly supports the idea that football increases the risk for brain damage, Hoge and Cummings can’t make their stand there. Instead, Hoge has moved this battle to the realm of the greater culture war—it’s hard not to be reminded of the political right’s campaign against climate change, which relies on the fact that creating doubt is far easier than proving causation. Hoge told me about a friend of his who has worked for years in middle and high schools who told him he never noticed any major emotional, behavioral, or cognitive drop-offs among students who played contact sports at 10 or 11. This again misses the point, since the youth tackle football studies are analyzing probability and risk. Hoge is deploying the same sort of anecdotal, observational bias he’s quick to criticize in others. He’s all for science—as long as that science agrees with him.